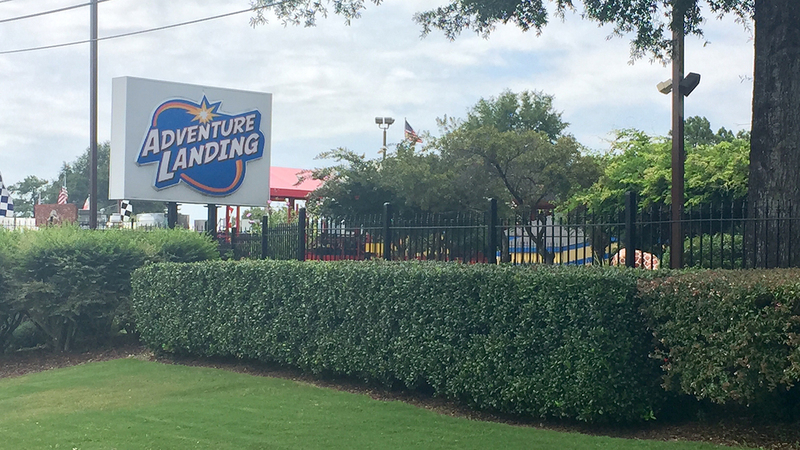 RALEIGH (WTVD) -- A group of Raleigh moms claim their credit card information was stolen after visiting the Adventure Landing Park on Capital Boulevard. One mom contacted ABC11 claiming her information was stolen after a visit to the park. She asked to remain anonymous, so she will be referred to as "Susan." Susan said her bank blocked her credit card purchase while she was out on a dinner date with her husband. Her information was reportedly used to make a $320 purchase at a Food Lion at the same time. "Being a mom, a new mom, you want to go out with your husband and kind of just enjoy a baby-free night, and that was really one of the first ones that we were able to have since our daughter was born," she said. "Only to later find out that while we were enjoying ourselves, somebody else was enjoying taking our information." Susan said other moms on a local Facebook group have experienced the same thing. We spoke to one of those other moms, who also asked to remain anonymous. She will be referred to as "Karen." Karen posted to the group saying someone stole her credit card information and used it on a $500 purchase, also at a Food Lion. She also claimed her information was taken after a trip to Adventure Landing. Both moms said they do not believe the fun park is responsible. "I don't necessarily blame Adventure Landing as a company. I blame the person that's doing it," Susan said. "I hope that when they get caught that they understand their actions and that they understand how badly they've hurt other people." Both moms told ABC11 they are in contact with representatives from Adventure Landing. "I have alerted our corporate office about the security issue," a manager from the Raleigh location told Karen via email. The email read, "Thank you for informing me on the fraudulent purchases and I can assure you we are working on the issue." ABC11 reached out to Adventure Landing for a statement. The company declined to comment.